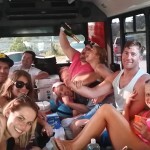 If you are thinking of have a party try Aquaholics and Fun on Austin Party Shuttle for your next trip. What more could you ask for? Friends, Lake, Sun, Food, Drinks and Fun. This group Chartered the Austin Party Shuttle for a fun time at the lake. They went to Aquaholics and rented boat and when they were finished Austin Party Shuttle was there to drive them all back safely to their destination. Would you like to go here and have this kind of fun. The all met each other at the Barton Creek Mall and from there they climbed aboard Austin Party Shuttle and let us do the driving. Thinking of going to the lake and having some fun? Be sure to call Austin Party Shuttle for a great time. This great group of people were referred to us from another client that we happen to take tubing on the river. They must have enjoyed themselves. 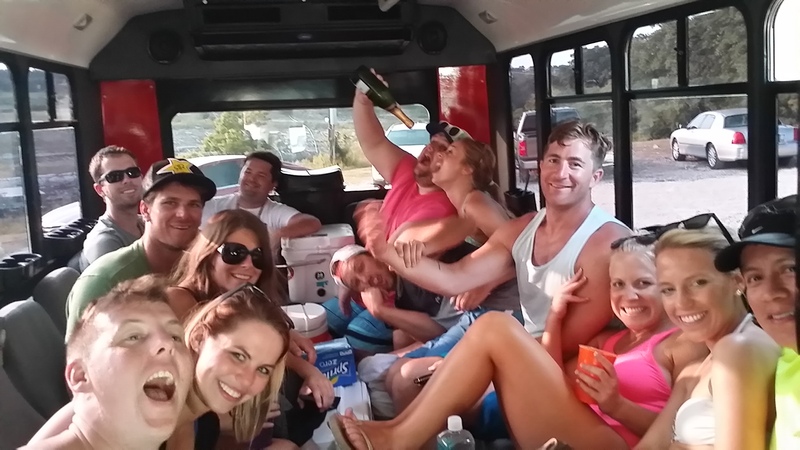 Austin Party Shuttle goes to Aquaholics at Lake Travis. WOOHOO! Having a great time aboard the Austin Party Shuttle.